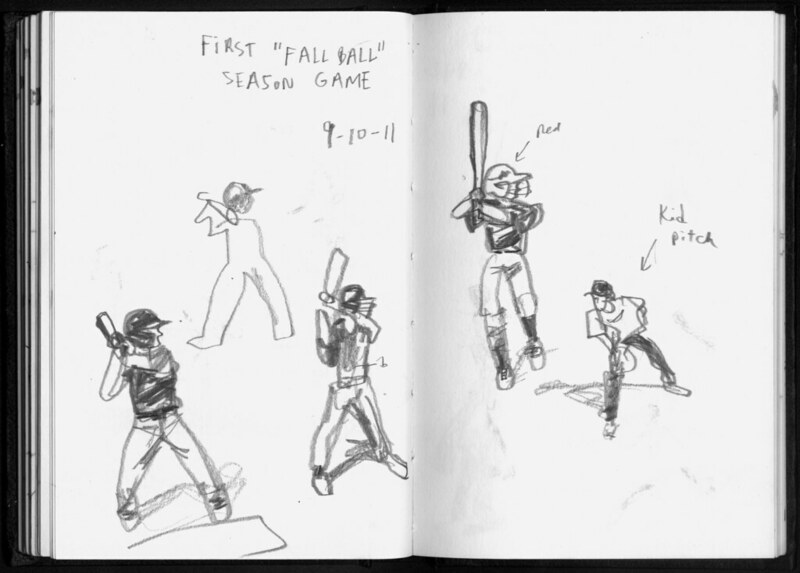 Since my son started Little League a few years ago, I always try to sketch at practice sessions and games. I’ve learned a great deal about the sport just by watching him play. 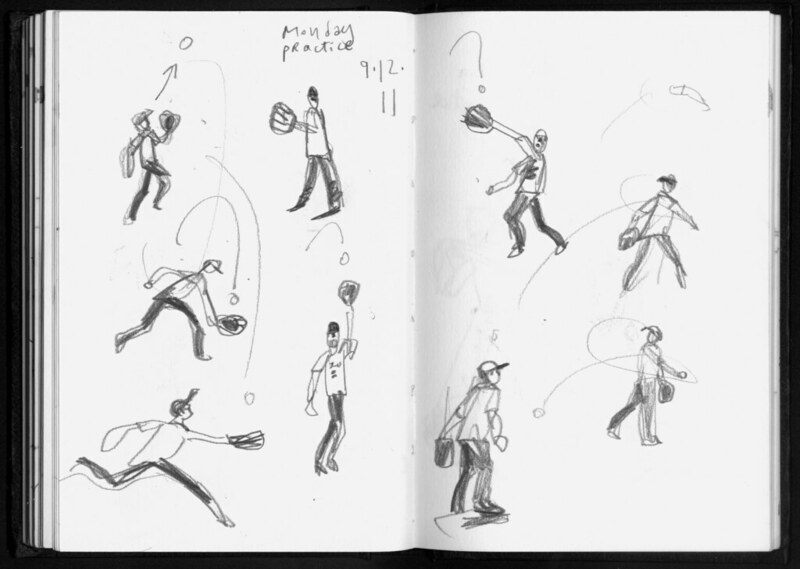 These are some recent sketchbook spreads from Fall Ball, which started a couple of weeks ago. For these sketches I used a Staedler lead-holder with an HB lead.